Described by Das Opernglas as “a strong, rich and warm-colored voice with assured style,” Mark Schnaible sings his first performances of Der Wanderer in Siegfried in a return to Den Nye Opera and returns to Utah Opera for Pizarro in Fidelio in the 2011-12 season. He also sings Beethoven’s Symphony No. 9 with Edo de Waart conducting the Hong Kong Philharmonic. Last season, he returned to Polish National Opera to reprise Orest in Elektra, sang Four Villains in Les contes d’Hoffmann and Ferrando in Il trovatore with Den Nye Opera, and joined the Memphis Symphony Orchestra for Beethoven’s Symphony No. 9. 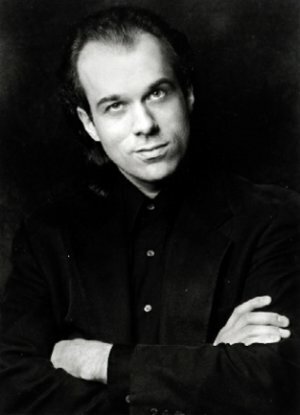 Mr. Schnaible’s other recent performances include Escamillo in Carmen with New Orleans Opera and the Saarbrücken Radio Symphony Orchestra under Michael Stern; Friedrich in the North American stage premiere of Wagner’s Das Liebesverbot and the Count in Le nozze di Figaro with Glimmerglass Opera; Biterolf in Robert Carsen’s production of Tannhäuser conducted by Seiji Ozawa at Tokyo Opera Nomori; the title role in Sweeney Todd and Scarpia in Tosca with Shreveport Opera; Mephistofeles in Faust with Shreveport Opera and El Paso Opera; Jochanaan in Salome in his home state of Iowa with Cedar Rapids Opera Theatre. He has sung numerous leading roles with Theater Lübeck including the Four Villains in Les contes d’Hoffmann, Dr Schön in Lulu, the title role in Der fliegende Holländer, Seven Antagonists in Death in Venice, Orest in Elektra, Pizarro in Fidelio, Capulet in Roméo et Juliette, Raimondo in Lucia di Lammermoor, and Lorenzo in I capuleti e i Montecchi. Additional recent performances include Leporello in Don Giovanni with Boston Baroque and Utah Opera; Colline in La bohème with Oper Kiel; the title role in Giulio Cesare with Utah Opera; the title role in Gianni Schicchi and Rambaldo in La rondine with Opera Tampa; Ariodate in Xerxes with Boston Baroque; Don Alfonso in Così fan tutte with Shreveport Opera; Capulet in Roméo et Juliette with New Orleans Opera; as well as the Huntsman in Rusalka with Christoph Eschenbach at the Schleswig-Holstein Music Festival and with Franz Welser-Möst at the Opernhaus Zurich. A past winner of the prestigious Marseille International Opera Competition, the bass-baritone has joined the Choregies d’Orange Festival under Bertrand de Billy for Baron Douphol in La traviata and for Carmen under Michel Plasson. He has also sung Figaro in Le nozze di Figaro with Opera d’Avignon, Metz Opera, and the Grand Theatre de Tours and toured throughout France with the Poitou-Charentes Orchestre for performances of Haydn’s The Seasons. He is equally at home with the concert repertoire having recently sung Bizet’s Clovis et Clotilde with Les Flaneries Musicales de Reims and Jean-Claude Casadesus and in subsequent performances with the same conductor and the the Orchestre National de Lille (to be released on the Naxos label), Bluebeard’s Castle with Utah Symphony and Keith Lockhart followed by subsequent performances of Haydn’s The Creation in Utah conducted by Andrew Litton as well as with the Jerusalem Symphony Orchestra conducted by David Stern.